‘Eat the f***ing doughnut, it’ll be the most interesting thing you’ve done all month douchebag’. 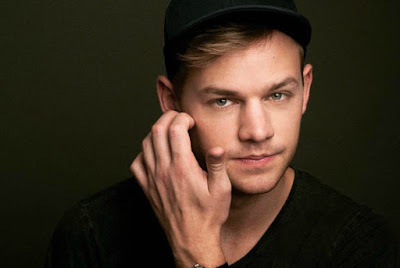 Joel Creasey – ‘Australia’s 7th most famous gay man’ – has had enough of body shaming in the gay community. The nationally beloved comedian took to his Facebook page to tell people what he really thinks about gay men who go on intense diets before the Sydney Gay and Lesbian Mardi Gras in March. ‘I’ve seen over the past few months on Instagram and social media gay men discussing their diets and gym regimes in the lead up to Mardi Gras and, particularly, the parade and party – as if they’re training for the Olympics or to compete in Miss Universe,’ Creasey wrote. Creasey who was a contestant on Australia’s ‘I’m a Celebrity, Get Me Out of Here’, said he had nothing against health eating and exercise. ‘I’ve been mulling this over for a while after I genuinely saw someone post a photo of a doughnut with a big red cross through it with the caption “4 months to Mardi Gras”… YES… THEY POSTED THAT IN NOVEMBER,’ Creasey wrote. But Creasey realized posts like these might have an negative impact on a lot of members of the LGBTI community. ‘I was thinking about impressionable, young gay men heading to Mardi Gras for the first time. Or older members of the community who have been fighting for our rights long before F45 was a “thing”,’ he wrote. ‘In fact, just anybody who might not conform to what is becoming this community standard of “hot”. Creasey admitted body shaming in the gay community sends his ‘anxiety sky rocketing’. ‘I’m getting so bored of certain members of the gay community telling people that if you don’t have abs, bulging arms and “thighceps” then you are not welcome at the parade or any of the surrounding Mardi Gras partiesm’ he wrote. ‘I’m talking to those people who think it is a NECESSITY to be ripped, tanned and have 20k plus Instagram followers to be welcome. Creasey reminded people that Mardi Gras was supposed to be a celebration of everyone in the LGBTI community. He said it was also a reminder of how the far the community has come in the past four decades. ‘Oh and it’s also a celebration of Cher and anything ending with “Minogue”, let’s not forget that,’ he wrote. Creasey has a personal interest in what’s happening at Mardi Gras. He’s returning as one of the co-hosts of the TV broadcast of the world famous parade. Read more at: Gay Star News.